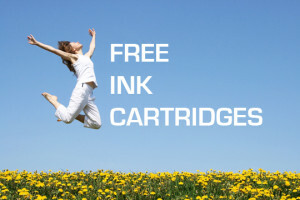 How to Search Online and Find Free Ink Cartridges in Dublin? Some people would say that there’s no such thing as a free lunch but how about free ink cartridges? You could probably count on one hand the number of online suppliers that will give out free printer cartridges in Dublin but they do exist and some will even offer low cost next day delivery as well! These suppliers do not necessarily have to be based in Dublin but may will be located in Ireland with fast delivery services available that save time and money for the online buyer. Many Multipack and bundle deals are available online with Irish suppliers that will offer free ink as a reward for buying bulk packs and also often come with a chocolate treat! Compatible printer ink is big business with many businesses and home users switching to the non-original cartridges in an effort cut down their printing costs. The types of business that rely on the replacement ink cartridges are everyone from hotels, restaurants and solicitors to schools colleges and hospitals. For a busy office or school, the savings that can be made by switching to compatible printer ink and toner can make a real difference to their annual budget. Ink and toner cartridge refill is currently available in the Dublin high street and may be fine for some printers but not all ink and toners are actually refillable and some can leak and cause damage to the printers if not professionally handled. That’s not to say that it’s not a viable form of getting cheaper ink or toner but it’s unlikely to win you any free ink. Original brand Dublin ink prices have increased in recent months with the cost of ink passing that of the equivalent amount in champagne or Chanel No. 5! It’s true! A survey in the UK has discovered that the price of original brand ink per millilitre is greater than that of a good perfume or bottle of bubbly! Getting a free ink cartridge is actually quite a prize and should be grabbed at every opportunity! Buying good quality ink cartridges online and receiving free ink as part of the deal is a real treat and one that can’t be ignored. Why not try searching for ‘free ink cartridges in Dublin’ and see what result Google bring you. Contact us today to avail offers.